Obverse: GEORGIUS.II.D.G.MAG. 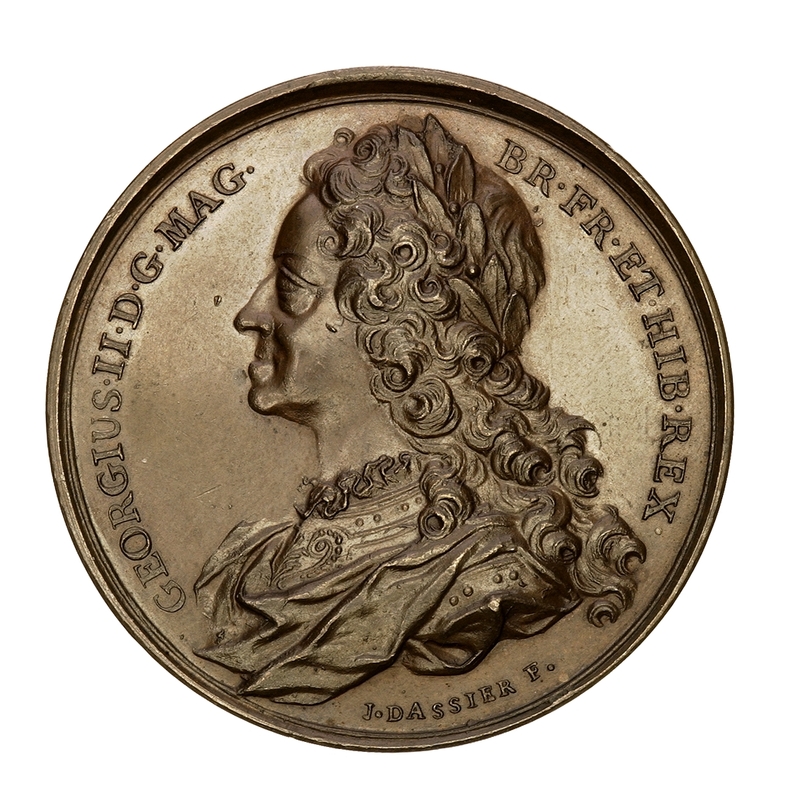 BR.FR.ET HIB.REX - Draped bust of George II, l.
Symbol: below bust truncation: J. DASSIER F.
Symbol: in ex., I. D. F.
Note: 612.2 gns. 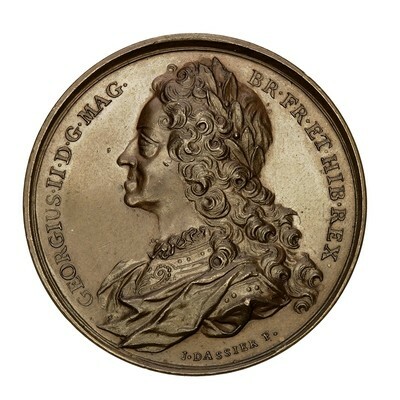 The obverse of this medal was cut by Dassier in 1731 as the "Dedicatory medal" of his series of the English sovereigns and struck with another reverse die. 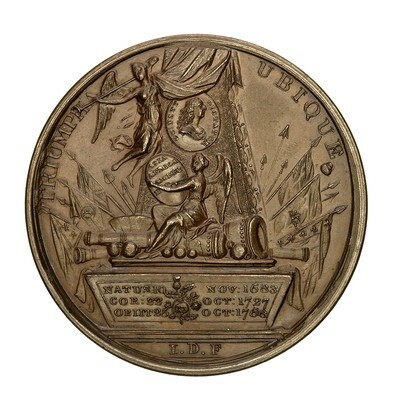 The present reverse was cut after the king's death.